Read Our Blog - Sound Imaging Inc.
MRI has been the most important and trust-able tool since its invention , But the recent incident about the death of a 32 year old man in an MRI machine is calling the safety of the machine into question! Is this the first time such MRI accidents are happening? The FDA report says that there was 310% increase in MRI accidents from 2004 to 2008, after which the MRI accidents have reduced in number but still hasn’t stopped. Let's look back into the most shocking MRI accidents that has happened in the past. This image was taken from this online source. 6 year old boy died in a freak MRI accident in 2001-new York. A 6 year old boy lost his life to the MRI machine when the machine's powerful magnetic field jerked a metal oxygen tank across the room, crushing the child's head. The tank fractured his skull and was seriously injured. Michael colombini , then died of injuries in the hospital. 2. 79 year old War veteran died after an MRI accident. So is the story of a 79 year old Dan Mahony who died after an MRI accident in Medford in 2009. The 79 year old man walked into the MRI room with his metal walker. After he entered the room the magnetic field was strong that the walker yanked from under Mahony, he fell and hit his head on the floor. 2 days later this he suffered a stroke , 2 months after which he died. The incident was followed by arguments and debate that went on between Mahony’s family and the hospital , as the hospital failed to take responsibility for his stroke as he had multiple risk factor for a stroke. The reason for his stroke still unknown, however the accident could have been avoided if the MRI safety rules were followed. 3. Police officer’s gun flies from his hand as he enters the MRI room. A police officer in Illinois was investigating a burglary inside a doctors system, the gun flew away from his hand responding to the magnetic force. Since there is no way to quickly disable the magnetic force, the firearm remained immovable and no one was allowed inside the building. 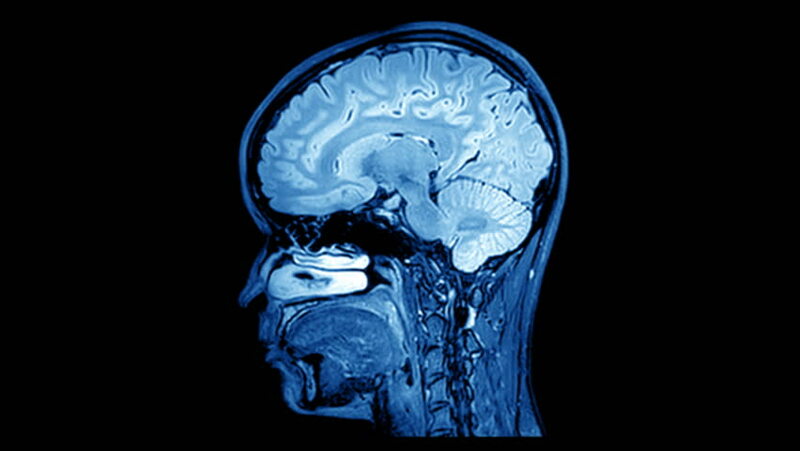 4.2003, a New Mexico woman injured in head in a MRI accident. In 2003, a New Mexico woman sued a Los Alamos hospital, claiming the magnetic pull of an MRI caused an oxygen tank to hit her in the back. There are various other MRI accidents that have happened in the past causing minor and major injuries. There might also be some accidents that went unreported and unnoticed. If monitored properly , MRI is on the best diagnosis method.What are the best practices to stay safe with MRI and make the best use of the cool machine? Stay tuned to our next blog post to know the best MRI safety practices. 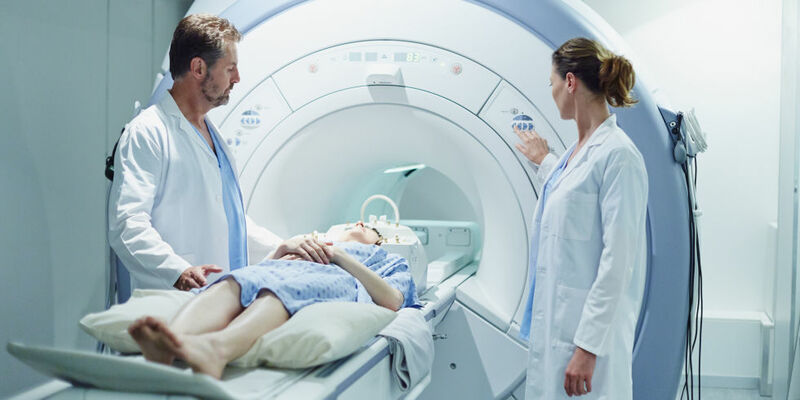 Since its emergence in the 1970s, MRI has become a vital tool for diagnosing, and despite various innovations and tools in the healthcare, MRI still is one of the mostly widely used tool for diagnosing. Although it’s the most trusted diagnosing method, this should not preclude a clear understanding of risks and limitations. Research says that the force of the device's 10-ton magnet is about 30,000 times as powerful as Earth's magnetic field, and 200 times stronger than a common refrigerator magnet. And if handled without care it could turn as life-threatening experience. one such sad example is the incident that happened on 28th January in Mumbai, India recently. A man got sucked into an MRI machine at a Mumbai hospital and died minutes after he walked into the room carrying an oxygen cylinder. The family says it was a case of massive negligence, since the machine was turned on when it was supposed to be switched off and the tech had assured them it was safe to go inside. Well, though its highly debatable whom to be blamed in the issue there are certain rules that every MRI room or imaging center has to follow. Nevertheless, to recollect the death of a 6-year old boy who died due to a skull injury in a similar MRI accident in New York. There are many such MRI accidents that happens due to sheer negligence. What can you do to prevent such accidents, here are rules that our MRI specialists suggest to avoid MRI accidents. ASTM International’s standard F2503  for the marking of devices brought into the MR environment should be used. Also MRI Safety signs should be used outside MRI rooms to create awareness. As the MRI has evolved over the years , so are the accessories that work MRI systems. One such must have MRI safety accessory is the screening magnets. These screening magnets are very similar to the ones that you see in airports to detect metals. But one very customised accessory is the Tech Gate , which is attached to the doorway and needs no human assistance. It screens or checks every person entering the room , only if they are metal-free does the tech gate allows them to enter the room. The accessories that needs to be used in a MRI room should be MRI safe or MRI conditional. Not all accessories in a hospital are MRI safe or conditional. There are various online stores that is dedicated for MRI safe and conditional accessory. MRI room needs all the accessories or tools that any other room in a hospital might need, but with a special requirement that the MRI room accessories should be MRI safe. You can find all that you need for an MRI room @www.mriextras.com. All the products here are tested and are MRI safe or MRI conditionals. It seems like it's common knowledge that gets spread that if you have metal in your body it's dangerous to get an MRI scan. This may not necessarily be the case anymore, at least when it comes to cardiac implants. A recent study led by Dr. Joseph J. Cavallo with the Department of Diagnostic Radiology and Biomedical Imaging, Yale School of Medicine published their findings in regards to MRI patients with cardiac implants. According to the study, Medicare and Medicaid patients with implanted electronic cardiac devices are undergoing significantly less MRI scans, despite evidence showing that MRI scans will present no harm to the patients. This is likely due to invalid and outdated information with MRI safety influencing health insurance policy. MRI safety has come a long way when it comes to patient care, and it seems health insurance is trailing behind. Here at Sound Imaging, we take pride in providing excellent MRI experience with top of the line MRI safety. Explore our MRI conditional cameras, SAMM System and SAMM MD, or our MRI Stereo and MRI Visors that provide patient comfort while not compromising on MRI safety. To learn more about this research, please visit the Journal of the American College of Radiology. This is an adapted article. Picture is taken from this source. Thank you for visiting our blog! !See you again!! Imaging is a common method used in emergency rooms to diagnose appendicitis. Like with many illnesses, often the effects are unseen on the surface, so imaging is crucial to make sure proper treatment takes place. A recent study looked into the efficacy of MRI scans versus CT scans when it came to appendicitis. While the findings show that there was no significant difference between the two modalities and accuracy and speed, it is important to note MRI is a good option to reduce radiation effects. However, one of the most common complaints when it comes to MRI over CT, is the noise and claustrophobia of an MRI scanner. Fortunately these are problems with easy solutions. Here at Sound Imaging, we have a variety of options for MRI patient comfort with two of our MRI devices, MRI Visors and MRI Stereo. These two devices are excellent options when it comes to helping patients, especially pediatric patients, overcome anxiety about their MRI scan. To learn more about this study, please visit ARJ Online. This is an adapted article. Picture is taken from this online source. How Much Time is Wasted When Getting a MRI Scan? According to a new study, about one third, or more specifically 29.14%, of the time spent at your MRI appointment is wasted time. What is considered wasted time and how can we improve efficiency? For this study at the two outpatient facilities, the research team split the time values into three categories, value-added time, business value-added time, or non–value-added time. The most frequent time waster was IV or port placement, and the most longest time waster was MRI arthrography where contrast was not accounted for during scheduling due to patient late arrival. While this may not seem like such a concern on the surface, time adds up and this eats up business and potential patient time. At Sound Imaging, we prioritize efficiency, whether it is making sure an MRI repair is fast and fixed while using our loaner program, or creating patient comfort devices that make the scanning process easier and safer, like with our MRI devices, Magnet Watch and MRI Stereo. This is an adapted article. To learn more, please visit this AJR Online research article. Picture is taken from this online source. The mobile MRI unit for Guantanamo Bay has finally arrived at its destination after it's court order two years prior. Judge for the hearing of Abd al Rahim al Nashiri, an alleged Al Qaida mastermind, ordered an MRI scan for the accused after claims of brain damage during CIA interrogation. This MRI scan is needed in order to determine whether or not this trial will continue as a capital punishment trial. The process for this trial has been long-lasting. While logistics play a large role, especially when overseas, it is important to note how similar this story can be for other mobile MRIs. 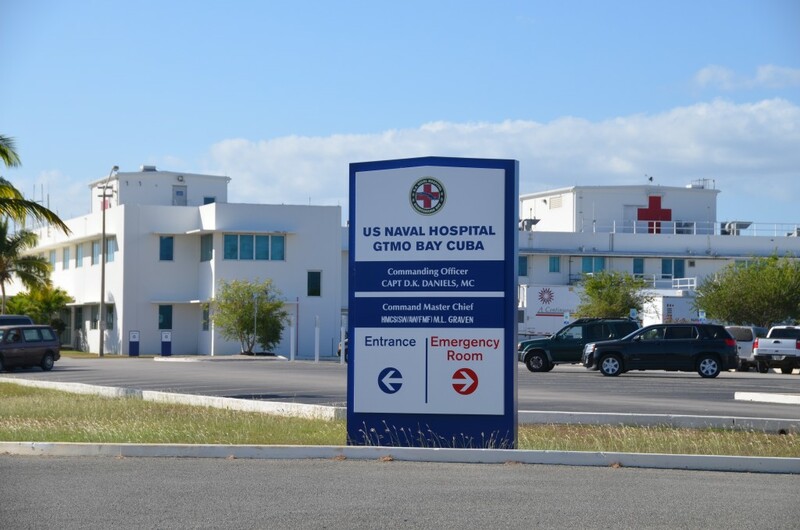 Make sure to read the full story at this article to learn more about the implications for these Guantanamo patients. At Sound Imaging, we aim to make our mobile MRI options as efficient and quick as possible. With us, there's no need to wait months to get your mobile MRI. Check out our preventative maintenance and MRI repairs as well to make sure your MRI scanner is in top shape. This is an adapted article. To learn more, please visit this news story and picture is from this online source. Do You Need to Upgrade Your MRI Scanner? MRI scanners need upgrades, just like any other machine out there. They get worn down, they go out of date or need some new features. This is why Canadian branch of Quinte Health Care at the Belleville MRI underwent an upgrade; everything except for the magnet was replaced. As with most changes at hospitals, the motivator for the upgrade was to ensure quality patient care. Newer MRI machines usually allow for faster scans and quicker turn-around times. 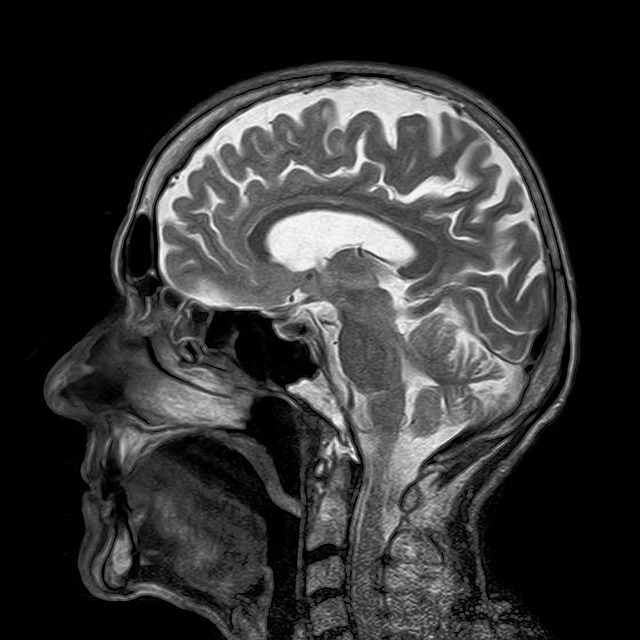 Upgrading your MRI scanner can also allow for higher quality image results, which allow for better diagnoses. Usually, MRI scanners are efficient for their first eight years, and after that point, it's good to consider if the time is right to upgrade. Here at Sound Imaging, we are glad to see how healthcare keeps in mind the highest quality for patient care. While we don't work directly with patients, all of our MRI services and MRI devices are designed to ensure quality patient care. If your facility is looking for MRI upgrades, be sure to contact us to learn more about MRI repairs, MRI maintenance, or MRI equipment. This is an adapted article. To learn more, please visit this online post, and the picture is from this online source. How Much Does It Cost to Build a MRI Scanner? According to a new plan by UC Berkeley, it's about $13.4 million dollars to build a new generation MRI brain scanner. UC Berkeley was awarded this amount by the National Institute of Health with the BRAIN Initiative grant to support neuroscience work and development. 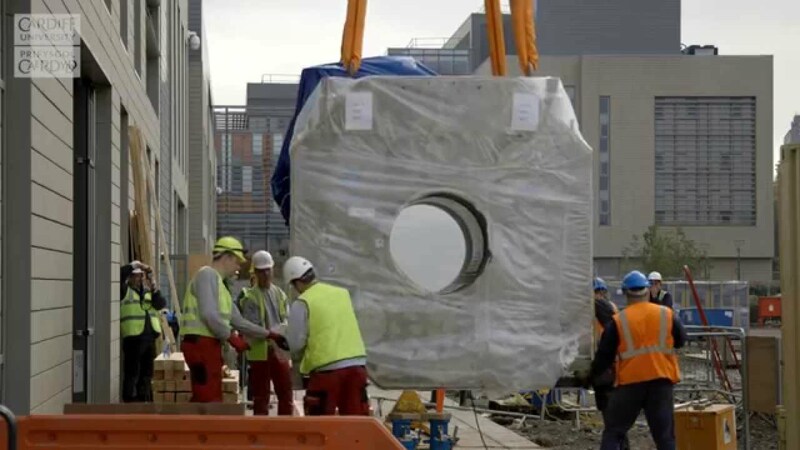 This new MRI brain scanner will be a 7T scanner, as seems to be the trend when it comes to MRI research, as shown in some of our previous blogs. One of the reasons behind this build is to get better quality images; it's been noted usually the higher the Tesla, the higher quality the image when it comes to MRI scanners. The brain is already a complex system as it is, so using a high definition scanner is the solution to see these intricacies. UC Berkeley anticipates completion in 2019. Here at Sound Imaging, we know most of us don't have millions lying around for an MRI scanner. This is why it's important to invest with repair and maintenance options when it comes to your MRI scanner. Here we offer cost-effective and budget friendly options for MRI repairs, MRI parts, and MRI services, like maintenance and installation. To learn more about this, please visit this news article, and the picture is from this online source. Multiple sclerosis is a complex and long-spanning illness that affects up to 2.5 million people worldwide and 400,000 people in the United States. Symptoms tend to only show once in adulthood and progress as one age. However, MRI scans may be able to diagnose high-risk children before symptoms even show. Researchers at Yale University School of Medicine have started preliminary studies into possible signs of MS. One such early sign that can lead to MS is 'radiologically isolated syndrome' or RIS, which are lesions that indicated a loss of myelin in the spinal fluid. After a number of scans and across 38 children volunteers, the research has some interesting results to share. For the first time ever, there may be a method to diagnose RIS in children and follow their treatment into adulthood, and possibility of MS.
At Sound Imaging, we are happy to see how MRI scans are helping pediatric patients across populations. We know how important pediatric imaging is when it comes to prevention and treatment. This is why our line of MRI devices, such as MRI Stereo and MRI Visors are such excellent solutions when it comes to children in the MRI suite. This is an adapted article. To learn more, please visit this online article and the Neurology Journal research article. Picture is from this online source. 7T Scanners have been around for a while. However, they have only been used for experimental and research purposes due to their high magnet strength. Until now that is. The first 7T MRI scanner, a Magnetom Terra by Siemens, is approved for clinical use in the United States. The FDA checked for overall safety and quality for this new type of scanner. One of the most noticeable benefits for 7T scanners is the image quality. When compared to other images from 3T device, the 7T met and even exceeded image quality of the 3T images. For now, the 7T Magnetom Terra is approved for patients that weigh more than 66 pounds, which means this will not be used for pediatric imaging, and for limited exams of head, arms, and legs. The magnet strength is still quite strong, so it is important to exercise safety and caution. Here at Sound Imaging, we are excited to see how the imaging field continuously expands and improves. When looking at any new scanner, it is important to keep MRI safety in the forefront. This is why our MRI devices, the SAMM System and SAMM MD, the MRI camera systems, are excellent choices for a safe facility. Magnet Watch is also the option to make sure your MRI scanner is in the best condition. This is an adapted article. To learn more, visit the FDA press release, and the picture is from this online source. One healthcare provider, Anthem, has created a new policy when it comes to MRI and CT scans. This provider will no longer cover non-urgent scans performed in either a hospital or outpatient facility will no longer be covered. The response is mixed from all sides. Some worry on what will constitute as 'non-urgent' and others view this a play to reduce services to patients. On the other hand, some see this as a method to curb over-scanning and unnecessary costs. As with most things, there are truths on all sides. At the end of the day, what matters is providing the best patient care. At Sound Imaging, we are curious to see how this new healthcare policy will play out for patients and providers. We aim to always keep healthcare innovative and efficient, especially when it comes to MRI devices. Create a relaxing experience for your patients with MRI Visors or MRI Stereo. Ensure MRI safety in your suite with Magnet Watch, SAMM System, or SAMM MD. This is an adapted article. To learn more about this news, visit this website. Picture is credited to this online photo. MRI machines are expensive, as we've seen before. However, what do you get when you have a three million dollar MRI scanner? At UC Irvine, in their Facility for Imaging & Brain Research, are debuting a new Siemens MRI scanner. The goal for this Center of Neuroimaging is to research complex brain topics. Some areas the team plan on exploring are dementia, radiation, schizophrenia, and autism. So it looks like three million dollars might find new information about the human brain in the future. However, for most of us, we aren't doing research with our MRI scanners. This is why Sound Imaging designs the best and most cost effective when it comes to MRI devices. At Sound Imaging, we are glad to see how research helps, while also patient care remains important and high quality as well. This is why we pride ourselves on creating the best and newest MRI devices. Create a relaxing experience for your patients or volunteers with MRI Visors or MRI Stereo. Ensure MRI safety in your suite with Magnet Watch, SAMM System, or SAMM MD. Stress is a natural part of life, so to speak. 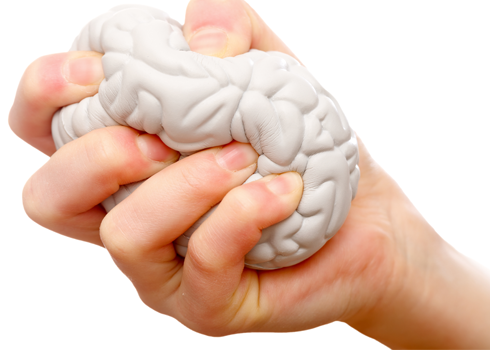 However, what do we do when stress may actually prove fatal? Researchers are finding exactly just that at the University of Pittsburgh. Studies are looking into whether or not blood pressure levels are exaggerated in certain individuals due to psychological stress. If so, then what are preventive measures to fight against heart disease and heart attacks? Stress is often a silent, long-term threat. The studies show that higher blood pressure from psychological stress may be another leading factor when it comes to potential to factors in heart disease. Stress may be on level when it comes to smoking, weight, and diabetes. At Sound Imaging, we are glad to see there is progress when it comes to understanding how health works, and that MRI studies can be a part of this growth. This is why we pride ourselves on creating the best and newest MRI devices. Create a relaxing experience for your patients or volunteers with MRI Visors or MRI Stereo. Sometimes as patients we assume that doctors, physicians, and radiologists are all knowing. However, it is important to be an advocate for your own care and safety. As many of you may know, gadolinium has been in the spotlight for its potential hazards. While some may recommend contrast for your MRI scan, as a patient, it is your choice whether or not to consent to contrast imaging. So the next time you are getting a MRI exam, ask your healthcare provider whether or not contrast is necessary and what are some alternatives. In addition, you may want to ask your physician which gadolinium based contrast agents (or GBCAs) will be used if you do undergo a MRI scan with contrast. Listed are GBCAs that are FDA approved by their brand name: Ablavar, Dotarem, Eovist, Gadavist, Magnevist, MultiHance, Omniscan, OptiMARK, and ProHance. As a advocate for your own safety, take heed if you are not recommended a FDA approved GBCA. At Sound Imaging, MRI safety is our top priority. This is why we take our MRI services, like MRI repairs and MRI installations, seriously. As helpful and life-saving a MRI scan can be, nothing is without its risks. Another option to making your MRI facility the safest around is with SAMM System, the MRI CCTV camera system that allows for comprehensive viewing of the MRI room, or SAMM MD, with comes with sophisticated motion-detection software for increased safety. This is an adapted article. To learn more about the FDA stance on GBCAs, please visit their site. Picture is taken from this online source. Pregnancy is a tenuous time for most families. Mothers are undergoing a body transformation, fathers are anxiously waiting, and siblings are grumbling about a new baby. There is enough stress when it comes to pregnancy. Unfortunately, pregnancy can sometimes lead to breast cancer. In these rare cases, where the cancer tends to be aggressive, it is crucial to act fast. In a recent study, the team at Johns Hopkins Hospital found in their study of 53 women, 52 women benefited from MRI scans to diagnose. This will lead to more research in this under-studied field of pregnancy related breast cancer. Researchers hope that they may be able to better diagnose signs earlier in the future. At Sound Imaging, we are proud to see how the imaging field aims to help everyone, especially families. This is why we created a variety of MRI services, from MRI repairs to MRI installation, and MRI accessories, like MRI Stereo and MRI Visors, to make the MRI experience better for all patients. This is an adapted article, to learn more visit and this medical news network and this AJR Journal. Picture is from an online source. All too often in the medical field, we forget about the patient's experience. Usually, healthcare providers are more concerned with treating a symptom and moving onto the next thing. We miss the personal interaction. Because we forget about the the person behind the patient, often times patients dread coming to their next appointment. One such blog written by Samira Rajabi, who survived a brain tumor, details her fear about getting her next MRI scan. How many others have this same horrible dread when they are getting a MRI scan? And while the MRI scan may not necessarily be the source of their distress, more often than not, it adds to the building anxiety. While there is little we can do to change a diagnosis from an imaging standpoint, there is much we can to improve the patient's MRI experience. An MRI scan does not need to be another source of anxiety; it can be a source of reassurance if the right steps are taken. At Sound Imaging, this is one of the main reason we designed our line of MRI Accessories. This MRI equipment is meant to make the scanning process easier, as with SAMM System and SAMM MD, and allow your patient to feel at ease, as with MRI Stereo and MRI Visors. 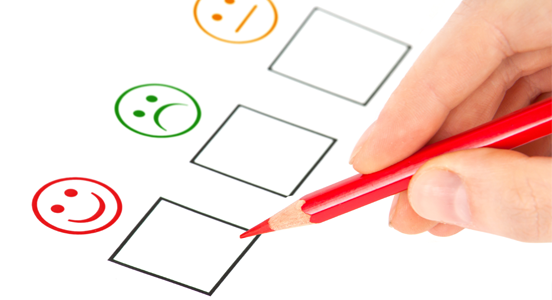 You can improve your patient's experience and help them through an already challenging phase. This is an adapted article; to read Samira's full story, visit this online journal. Picture is taken from an online source. As some of you may know, the work is not always done after one undergoes chemotherapy after cancer diagnosis. However, when one hears about getting a scan for cancer, one usually assumes it is during or before cancer diagnosis. Researchers are now learning that MRI scans are just as important after chemotherapy. In the study published in the RSNA Journal, researchers compared CT scans with MRI scans to detect colorectal liver metastases (shorten to CRLMs) after chemotherapy treatment. The results showed that overall, MRI scans were more accurate to detection as it gave less false positives, compared to CT scans. One wonders if MRI scans may become standardized after chemotherapy? For now, researchers are still looking for more methods to fine-tune the methods. At Sound Imaging, we are happy to see how MRIs can be applied to so many fields of healthcare. This is why we do our best to meet all MRI needs, whether it be MRI coils for your machine, MRI repairs for your equipment, or MRI accessories for your patients. This is an adapted article. To learn more, please visit this RSNA journal, and picture is from this online source. Are MRI Contrast Agents Safe During Gestation? It seems like gadolinium can't get out of the spotlight when it comes to MRI news and research. A recent study in the the RNSA Radiology journal notes that traces of gadolinium can be passed from mother to child if the contrast agent is administered during a MRI scan. The study did not test on humans, but used Gravid rhesus macaques, who were tested in another study as well. The primate subjects were kept in well-cared for settings and were not mistreated in the process to animal law standards. 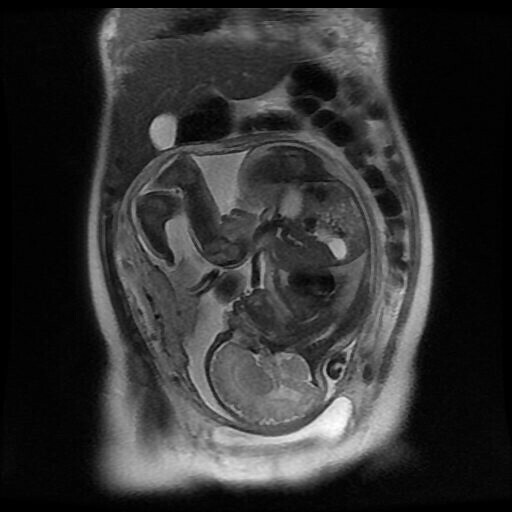 During gestation, the primates underwent an MRI scan with contrast. The research found that 7 months after delivery, small trace amounts of gadolinium concentrate were found in the infant macaques. While there were very small amounts shown in multiple tissue samples, this study did show that the contrast agent persists after delivery. What does this mean for the imaging community? It is worth to note that gadolinium has come under scrutiny a number of times. But is this just over amplified hype or a subject worth better safety standards? At Sound Imaging, we take MRI safety seriously. While you don't need to worry about MRI contrast agents with us, we maintain a high standard for MRI conditional equipment, such as SAMM MD and MRI Stereo. You can improve your patient's MRI experience without risking safety. MRI at Your Local Mall? In the not so far future, you may be able to buy groceries, get your haircut, and undergo a MRI scan all at the same place: the mall. In fact, in many locations across the country, there are already outpatient MRI providers in local strip malls. Out-patient clinics, like Radnet or SmartChoice, are already getting their foot in door of these new locations. The trend for the strip mall MRI stems from one crucial factor: cost. Regardless of how much you may like your healthcare provider, most of us would not hesitate to get a $200 MRI scan at an outpatient center versus $1000 MRI scan at a hospital. There are some pros and cons to both however. Typically, a hospital has a larger variety of scan features, and may offer newer, upgraded MRI equipment. But does this mean it's all worth it? It's up to the patient to decide. At Sound Imaging, we are always proud to see how the imaging field adapts to new environments. We try to do the same here at Sound Imaging. This is why we created our line of MRI accessories, which aim to comfort patients, while increasing MRI safety. This is an adapted article from this health news network. Thank you for visiting our blog! What Does Dual Contrast Mean for MRI? You may one day have to get two MRI contrast agents injected when you go for your MRI scan. Researchers at the Imaging Resource Core at the Case Western School of Medicine are developing the method of dual contrast when it comes to getting scanned. The researchers aim for this dual contrast is to better specify molecules, proteins, and tissue when undergoing a scan. The more you can distinct and specify, the more likely you can accurately diagnose. For this study, the two agents used were gadolinium (which we have mentioned before) and manganese. These two agents differ when it comes to relaxivity rate, or the ability to easily emit signals and fluctuation of the contrast agent. This allows the two contrast agents to appear distinct when scanning. The researchers are still in preliminary stages and will need to further test on living cells in the future. At Sound Imaging, we are always proud to see how the imaging field aims to improve upon itself. We aim to do this as well at Sound Imaging. This is why we newly re-designed our MRI Stereo and work to create the most upgraded version of MRI Visors. This is an adapted article from this science news network and this research article. Thank you for visiting our blog! As you can imagine, drowning is a traumatic experience, especially for children. What you may not know about is locked-in syndrome, which can happen to survivors of drowning. Locked-In Syndrome is as it sounds; it is a condition where one is conscious and aware, but unable to move their body. Usually, this condition paralyzes the entire body except for eye movement. Researchers at the UT Health San Antonio studied ten children who suffer from locked-in syndrome after drowning. Using MRI scans, the researchers analyzed the scans of these children to find a connection. What they found were anoxic brain injuries (ABI) that led to focal strokes. This means motor pathways in the brain were damaged, but areas with cognition and sense pathways were unharmed. While there is no cure for locked-in syndrome yet, this is promising for researchers. Knowing where the damage occurs can lead to treatment and possible prevention when drowning victims are resuscitated. At Sound Imaging, we are happy see how MRI research helps any and all. Here, we work to improve our MRI parts, MRI coils, and MRI services so you can provide the best diagnosis possible at your facility. This is an adapted article from this online article, to learn more visit this research. The photo is from an online photo. There is a lengthy process for organ donor approval, and in the case of liver donors, especially invasive. Biopsies, catheter tests, ERCP, and many more tests are often used to make sure liver donors are viable. Fortunately, researchers are testing whether or not MRI scans work as a ‘one-stop-shop’ for testing liver health in donors. Not only could this save time, this may also work to ensure the liver remains healthy. There would be no need for more potentially hazardous invasive procedures nor would patients undergo treatments that cause radiation. So far the review looks promising, make sure to read the full story. At Sound Imaging, we are always proud to see how MRIs work to make healthcare more efficient. Here, we work towards efficiency when it comes to all MRI services and MRI devices. Our MRI Accessories work to streamline MRI safety and MRI comfort. This is an adapted article from this online article, to learn more visit this article. The photo is from an online photo. MRI machines can be tricky. While in many ways safer than other imaging modalities, it is also more hazardous in others. MRIs do not have any sort of radiation, but on the flip side, anything that is metal can turn into a dangerous projectile with the magnet. With this in mind, it is not easy to design a device that meets these ferromagnetic standards. 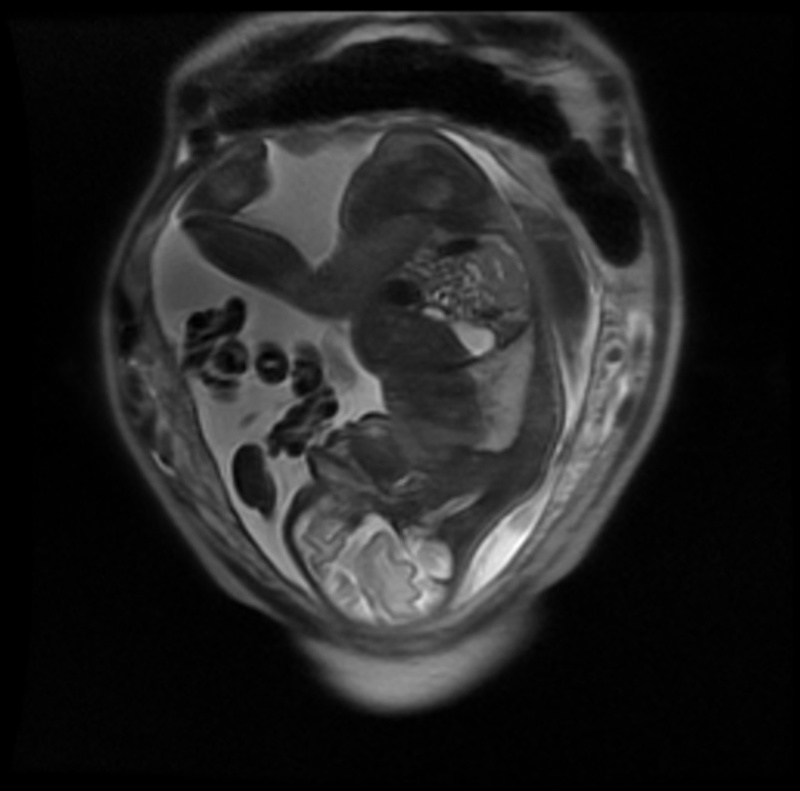 However, the team at Aspect Imaging just got the Embrace Neonatal MRI System cleared by the FDA. Now those in neonatal intensive care units can get the diagnostic readings they need. While there is still more to be seen, this is in the trend of improving the power of MRI scanning. At Sound Imaging, we understand how important MRI safety is while maintaining diagnostic quality. Our MRI devices are MRI-conditional, so you do not need to worry about interference. You can relax your patients with MRI Stereo or MRI Visors, or improve your facility safety with SAMM MD and SAMM System. This is an adapted article from this FDA news article. The photo is from an online photo. Most MRI news consists of professional athletes, football, hockey, boxing, among others, getting a scan. Why does this population get so many scans, and what are the causes? In a recent study in Radiology journal, researchers took a look at about 200 professional fighter scans. While this is not the first study to analyze mild brain trauma in fighters, this study did something different. Most studies look at gray brain matter; this study analyzed both gray and white brain matter to paint a better picture. The results so far are helping researchers to understand how repeated mild brain trauma affects professional fighters; applications in the future may analyze other athletes. If researchers can understand how this trauma will progress in the future, steps can be taken now to prevent. At Sound Imaging, we are happy to see how imaging helps those across professions, ages, and health history. 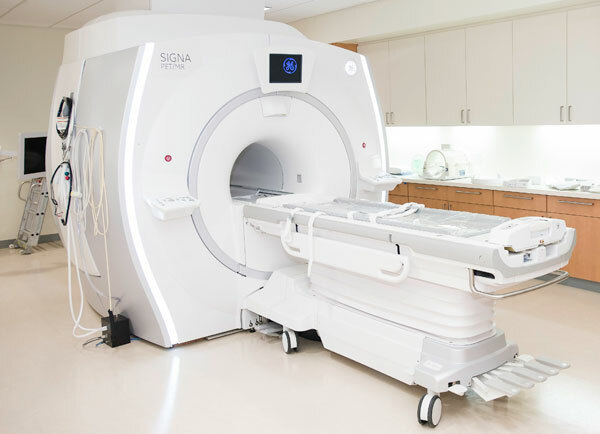 To keep your MRI machine healthy as well, explore our variety of services, from MRI coil repairs to MRI part repairs, to service contracts or mobile solutions. This is an adapted article from this online article, and to learn more about research visit Radiology journal. The photo is from an online photo. Will MRI Contrast Agents Target Tumors? MRI contrast agents, particularly gadolinium based agents, are getting a lot of attention lately. Some of this news has been good, some news poor, and some news ambivalent. The most recent news in the world of contrast agents is exciting, however. A team at the University of Massachusetts Medical School, led by Dr. Gang Han, is developing a protein-based contrast agent. Similar to the glucose contrast agent in earlier news, this contrast agent is another natural occurring product of the body. One special property of this team’s contrast agent is that it aims to be ‘tumor-targeting’. We will have to wait and see how exactly it targets tumors in the upcoming tests, but it aims to be like other targeting proteins, such as those that used in cancer treatment. Here at Sound Imaging, we are intrigued to see how all of these contrast agents will play a role in the world of imaging. While the world of MRI contrast agents becomes more complex, keep things simple with a wide array of MRI equipment. Any MRI parts, MRI coils, or MRI services, is quick and easy find with our team. This is an adapted article from this online article, and to learn more about this research visit Nano Letters journal. The photo is from an online photo. You may be seeing a wearable MRI scanner in the not too distant future, so to speak. While this BCI, or brain-computer interface, uses similar properties of an MRI, it also has roots with the Virtual Reality headset, Oculus Rift. The start-up behind this device is Openwater. The aim is to “to create a wearable to enable us to see the inner workings of the body and brain at high resolution.” In terms of healthcare, this would streamline imaging scans on a massive level, but there are some other ramifications to this device as well, as Futurism points out in their article. At Sound Imaging, we are always excited to see what innovators come up with next. We also aim to innovate MRI patient care with our line of MRI accessories. Explore our SAMM Systems, the MRI camera, for safety options; take a look at MRI Stereo and MRI Visors, for patient comfort solutions. This is an adapted article from this online journal. The photo is from this online source. What Did You Learn at AHRA 2017? Yesterday was the last day of AHRA 2017 Annual Conference in Anaheim, CA. It was a fast four days and there was tons of information, techniques, and stories we gathered at the event. However, what is always the underlying theme is the human side of imaging. Often healthcare is seen as having limited choices. It’s either receive this type of healthcare, pay more to get better care, or don’t pay and get nothing. As Jake Poore, keynote speaker with Disney experience noted in his speech, ‘it’s connecting the dots between human and business. At Sound Imaging, we know healthcare providers and patients always have a choice. This is why we aim to provide the best prices for the best MRI devices and services. MRI patient comfort is becoming more and more of a necessity rather than a perk; this is why our MRI Stereo and MRI Visors are competitively priced to offer you the best quality. Thank you to all of you who visited our booth and we look forward to hearing from you soon! This is an adapted article, to learn more visit AHRA Convention Daily. As many of you know and may be attending, AHRA 2017 is taking place in Anaheim right now! There are tons of new and diverse devices and topics at AHRA, but it seems like there is one topic that never leaves the world of imaging: MRI Safety. AHRA’s Convention Daily dedicates an article to MRI Safety and how there is still a need to improve safety standards. The author outlines several roles that would increase overall MRI safety, that includes: an MRI Director that is fully trained and competent in safety policies, an MR Safety Office that maintains safety procedures, and an independent MRI Safety Expert. Read the Tuesday Convention Daily to get the full story. Overall, we are glad to see how to conversation about MRI Safety is always evolving. At AHRA, we are happy to show some of our MRI Accessories, including SAMM System and SAMM MD, the MRI camera systems. These camera systems allow you to keep your eye on all parts of the MR room to strengthen safety standards. Make sure to stop by Booth #325 to try out our MRI devices for yourself! This is an adapted article and picture is from this online photo. As you all might have heard, AHRA 2017 is coming in a few days! In preparation for this event, we are happy to announce the Total Comfort MRI Suite! The Total Comfort MRI Suite is a deluxe suite that includes some of our best-selling MRI accessories together in one cost-effective and easy package. Check out our press release to get all of the details! We are especially excited for this release. While we are proud of all our MRI devices, this one combines the best and brightest and offers excellent savings. The Sound Imaging goal is to make healthcare affordable, and the Total Comfort MRI Suite does exactly this. As always, please ask us any questions about our upcoming Total Comfort MRI Suite either at our Contact Us page, or ask us in person at AHRA 2017. Looking forward to saying hello to all of you in Anaheim this coming week! Are You Going to AHRA 2017? This week is special for us at Sound Imaging. It’s the week before AHRA 2017! What does this mean? AHRA (or the American Healthcare Radiology Administrators) is a nationwide organization for leadership within the radiology field, which also includes MR imaging. They host a number of conferences each year, and we’re lucky to be attending one such event! While there are a variety of showcases and exhibitors, we are especially excited to see the emphasis on MRI patient comfort. We are proud to present several of our patient comfort MRI devices, like MRI Visors and MRI Stereo at the conference. These devices put everyone at ease, especially the pediatric population. Test them out for yourself in person by joining us at the conference! Click to learn more about the Anaheim AHRA 2017 conference. And make sure to visit us next week, July 9-12 at Booth #325! The video is from AHRA Youtube channel. A Faster Way to do Pediatric MRI Scans? A new study takes a look at how to quickly diagnose pediatric appendicitis. As with most things in life, the faster it can be done, the better. However, more often than not, the faster something is done, the less efficient or accurate it is. The research team tried to find the sweet spot between fast diagnosis while maintaining accuracy. The team also wanted to see how performance would change without the use of sedation and contrast agents. Pediatric imaging is often more tricky to do without the use of sedation. The results so far show a fairly high rate of accuracy with this rapid MRI procedure. Out of ninety-eight MRI exams, the results show this method has 94% sensitivity, 95% specificity, and 91% positive predictive value. These results look promising especially when it comes to pediatric imaging. At Sound Imaging, we are glad to see how MRI examinations are continuously improved, not only with accuracy but patient comfort as well. Here, we do our best to improve the patient experience with our line of MRI Accessories. MRI Visors and MRI Stereo are excellent options for those long MRI exams, especially for the little ones. This is an adapted article. To read more on this study, visit research article and online post. The picture is from an online stock photo. A Safer MRI Contrast Agent? 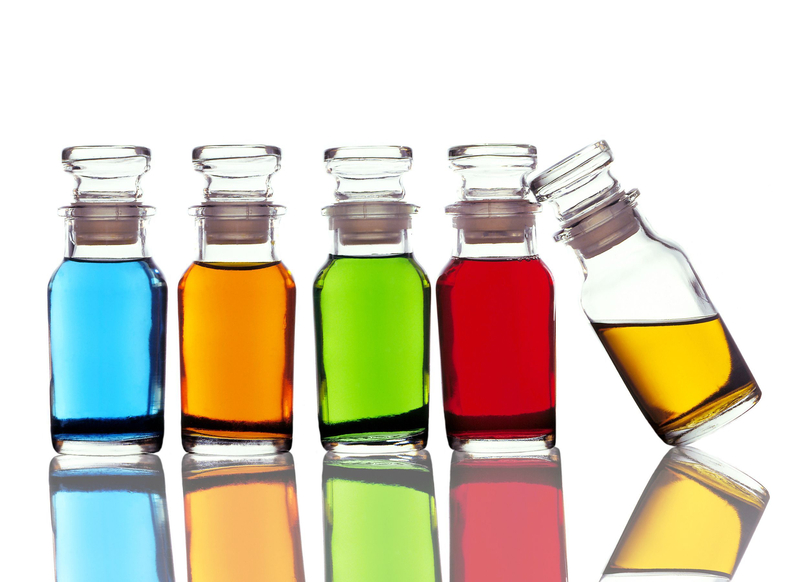 A new study shows that there may be a new type of MRI contrast agent. The best part? It’s glucose, or sugar, based. This means it may be safer than other contrast agents in the market. 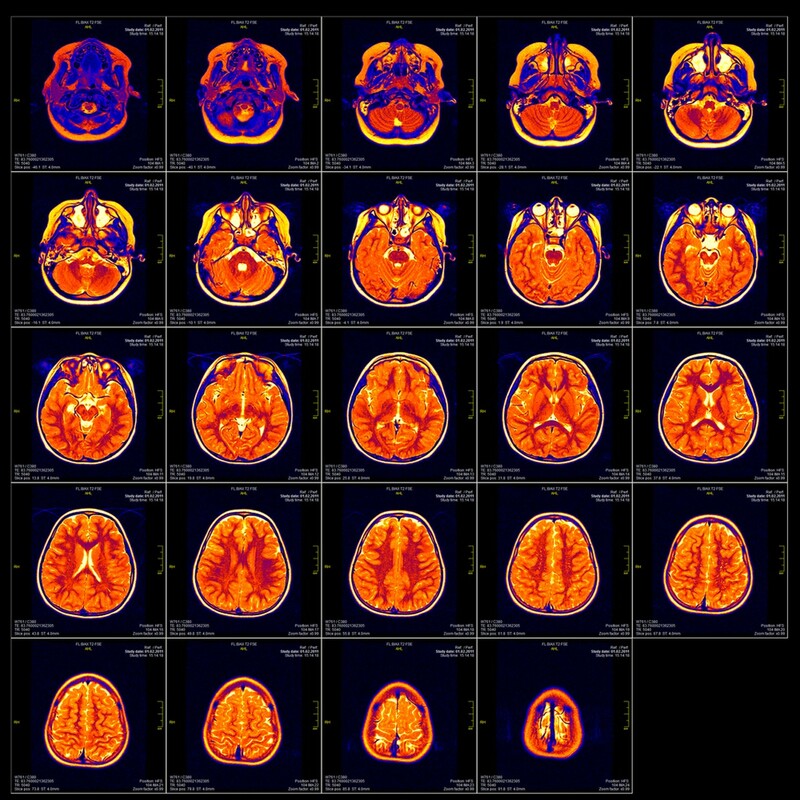 As you may have read in our previous posts, there was a recent controversy over gadolinium based MRI contrast agents, which may have led to unhealthy side effects. This new contrast agent in some ways also allows for even better results than traditional MRI contrast agents, since sugar naturally penetrates the cell deeper. At Sound Imaging, we are glad to see how the MR world is always improving upon itself. We aim for this goal of self-improvement as well with our line of MRI accessories. All of our MRI accessories are designed with safety in mind, which is why SAMM System and Magnet Watch are excellent solutions for your MRI facility. SAMM System keeps an eye on your patients, while Magnet Watch looks up for your MRI machine. This is an adapted article. To read more on this study, visit research article and news post. The picture is from an online stock photo. Are MRI Scans Changing How We Diagnose Crohn's? A new study in the Academic Radiology Journal has hopeful news for those who suffer from Crohn’s disease. As some of you may or may not know, Crohn’s disease is a chronic condition which causes inflammation and subsequent cramping in the GI tract. It usually occurs where the small intestine meets the large intestine. While not necessarily deadly, this disease can be debilitating for everyday life; there is no cure right now, though treatment does relieve symptoms. In this study, CT and MRI scans were measured for accuracy in diagnosing Crohn’s disease. The results so far show that CT and MRI are both highly accurate in diagnosing; MRI may be used more often because it is radiation free. This will allow for quicker diagnoses and subsequent quicker treatment. At Sound Imaging, we are always happy to see how imaging helps people find their diagnosis and subsequent treatment. We also know getting a scan can be an unpleasant experience, regardless of its accuracy. This is why MRI accessories are so crucial to making the patient experience better. MRI Visors, the portable MRI video goggle system, and MRI Stereo, the two-way communication and music system, are easy solutions to improve patient care. This is an adapted article. To read more on this study, visit Academic Radiology. The picture is from an online stock photo. Many of you have seen a number of objects turn into projectiles in MRI facilities. The usual culprit is am oxygen tank, wheelchair, gurney, or another medical device. However, an MRI facility in Turkey had an unusual MRI projectile recently. A retired police officer brought his personal gun into the MRI room. Naturally, this turned into a particularly deadly projectile. Fortunately, no one was harmed in the process. Read the full details at this Turkish news network. This story is another reminder of the importance of MRI safety, which is sometimes overlooked. For incidents like these, it is important to have the safest equipment and the best safety practices. One easy and effective methods to increase patient safety is with SAMM System, the MRI conditional CCTV camera system, and its upgraded model, SAMM MD, which also provides motion detection features. This is an adapted article. To read more on this news, visit this Turkish news network. The picture is from simplyphysics.com. Quicker MRI Diagnoses for Breast Cancer? Can you shorten your MRI exam time, while also getting accurate results? Maybe. A recent study published in the Academic Radiology journal shows preliminary results for a quick scan and read times for breast MRI scans. To put simply, the team compared using a full diagnostic protocol (FDP) vs a simplified breast protocol (SBP). The difference between the two methods was interpretation and scan time. Instead of a full scan, the SBP uses a limited scan method targeting breast cancer regions. The results so far have been promising. The simplified version was comparable to the full diagnostic procedure. This may eventually lead to faster scans without losing accuracy. In the meantime, most patients will need to go through the full diagnostic process, which is no quick procedure. To make the scan process easier for patients, look to MRI accessories, which provide patient comfort and distraction from the scan. MRI Visors, the portable video goggle system, and MRI Stereo, the two-way communication music device, are excellent tools to ease patient discomfort and distract from the scan. This is an adapted article. To read more on this study, visit this Academic Radiology article. The picture is from this online photo. Are MRI Patients the Most Unsatisfied Patients? Fortunately, our line of MRI Accessories addresses not MRI patient comfort. MRI Visors, the portable video goggle system, and MRI Stereo, the two-way communication music device, are excellent tools to ease patient discomfort and anxiety. Make your MRI patient experience the best. This is an adapted article. To read more on this study, visit this JACR article. The picture is from this online photo. Why the High Rate of Unexpected Events in MRI Scans? There is a surprisingly high rate for ‘unexpected events’ during the MRI scan procedure; about 1 in 6 cases have an unexpected event. What do unexpected events mean and why is this important? The research published in this month’s Journal of American College of Radiology states the rate of unexpected events during an MRI scan process is at about 17%. According to the study, unexpected events are categorized into a number of categories: problems with orders/scheduling; delayed scans; foreign bodies; non-contrast related patient events; contrast related patient events; and technical issues. The most common unexpected event was non-contrast related patient events, which related to events when the patient was: claustrophobic, moving too much, or general patient discomfort during the scan. This is significant news for the MRI field. Great lengths are still needed to make the MRI experience better for patients. This is not only for their satisfaction, but also make sure the best possible healthcare is provided. At Sound Imaging, we have an answer for some of these unexpected events. Our line of MRI Accessories addresses not only patient comfort but patient safety as well. MRI Visors, the portable video goggle system, and MRI Stereo, the two-way communication music device, are excellent tools to ease patient discomfort and anxiety. To address patient motion, look to our SAMM MD, the MRI camera system with motion detection that can even pause scans if motion is detected. Make your MRI patient experience the best. This is an adapted article. To read more on this study, visit this JACR article. Picture is from this online photo. Why are Pediatric MRI Costs Increasing? MRI scans are invaluable for diagnosing a variety of health concerns. However, this process can be scary, especially for little ones. To better cope, most facilities use anesthesia for pediatric scans. A recent study by the Partners for Kids organization studied thousands of cases from 2011 to 2014 to better understand the cost breakdown for pediatric MRI scans. During this period, there was increased need for anesthesia, increasing from roughly 22% to 33% in scans. As you can guess, with more anesthesia needs, the cost for MRI scans goes up especially in this pediatric population. At Sound Imaging, we fortunately have a solution for these increased costs. For these little ones, we have developed a MRI device specifically for this population. The MRI Visors are a portable video goggle system that mimic a movie like experience within the MRI. Save these non-stop costs with a quick and easy solution by MRI Visors. This is an adapted article. To read this study, visit this JACR article. Picture is from this online photo. Do You Need Interpersonal Skills to Manage Your MRI? You might need to have good people skills to effectively run your imaging center according to a new study. The Journal of American College of Radiology released a study that showcased the efficacy of trained communication skills. To see if these communication skill trainings were useful, the team compared sites that were trained and sites that were not. The overall results showed a noticeable difference between the with the sites with communication skills training and those without. Using over 20,000 scans in the span of six months, the sites without communication training showed decreased equipment usage, decreased no-show rates, and decreased patient satisfaction. So what does all of this data mean? It means there is tangible value in improving the patient experience. As professionals, our goal is to always put the patient first, whether that be with effective communication skills or making the MRI scan less scary. At Sound Imaging, we do this by ensuring safety and patient satisfaction with our line of MRI Accessories. Put patients at ease with the MRI Stereo, the two-way communication and MRI music system. Make the MRI comfortable with MRI Visors, the portable MRI video google system. This is an adapted article, to read this study, visit this JACR article. Picture is from this stock photo. Final Verdict on Gadolinium in MRI Scans? This past week has shown two varying opinions for the controversial MRI contrast agent, gadolinium. One source presents the FDA will not limit gadolinium based agents, but will continue to study the heavy metal, while a Mayo Clinic study shows preliminary results of gadolinium in postmortem pediatric brains. Gadolinium raises some concerns because it is a heavy metal that can be retained within the brain, bone, and skin. However at the moment there is only one condition which relates to directly to gadolinium retention, nephrogenic systemic fibrosis (NSF). This condition leads to harden skin and stiff joints in those with kidney conditions. So is gadolinium dangerous or not? While there is no definitive answer yet, the question alone ought to signal we need to take a closer look at the quality of healthcare. As professionals, our goal is to always put the patient first. At Sound Imaging, we do this by ensuring safety and patient satisfaction with our line of MRI Accessories. Increase safety with the SAMM M.D., a motion detection MRI camera system. Make the MRI comfortable with MRI Visors, the portable MRI video google system. This is an adapted article, to learn more visit this Aunt Minnie article and this FDA news article. Picture is from this stock photo. A recent study by the New York School of Medicine and Emory University School of Medicine shows a significant increase to CT and MRI use within emergency departments within the past decade. Depending on the treatment, there was anywhere from 20 to 40 percent increase. What does this mean and why does that matter? Firstly, it shows how integral imaging has become to the healthcare world. Secondly, this presents us how effective these imaging needs can be within emergency situations. Often MRI or CT scans are not seen as a tool used in an emergency situation, but this proves that is not necessarily the case. At Sound Imaging, we know how much time is of the essence. This is why we offer MRI services, like repairs and installations within a timely manner, to make sure your facility can get back to see patients as soon as possible. Our line of MRI accessories also keep in mind how important time is, with our MRI accessories need little to no down time to install, like MRI Visors, the portable MRI video system, that requires no downtime for your facility. This is an adapted article, and to learn more about this MRI and CT research, read the full story. Picture is a MRI stock photo. Most of you are probably familiar with 1.5T and 3.0T MRI Scanners, but 7.0T is a new frontier in the world of MR-imaging. Brigham and Women’s Hospital is the latest healthcare provider to hop on the 7.0T trend, and fortunately they shared their installation process. MRI installation can be a stressful, expensive, and even a terrifying process. However, if you get the right professionals and the best in equipment, this process is a finch. Explore some of our MRI installation options to help you through this process. Not only do we offer a number of MRI services, like repair and installation, but we also provide a line MRI Accessories. Another perk to our MRI Accessories, like our portable MRI video system, MRI Visors, is they require little to no installation time, so you can see your patients as soon as possible. This is an adapted article, and to learn more about the Brigham and Women’s Hospital 7.0T MRI Scanner, read the full story. Picture is from their slideshow on from this news article. Do You Need Millions to Make Your MRI Better? The Mayo Clinic’s Red Wing Facility just got a $3,000,000 upgrade. Included in this upgrade are increased capabilities for small extremities, bariatric patients, and overall increased patient safety and diagnostic ability. If you have been keeping up with our blogs, you will notice there is a trend for bigger, better, and newer MRI Suites (as it should be). However, we do not believe these MRI upgrades need a hefty price tag. Quality does not need to equal expensive. At Sound Imaging, our goal is to make healthcare affordable. It is possible to offer all the bells and whistles of a brand new MRI Comfort Suite without spending millions. Not only do we offer a number of MRI services, from repair to installation, but we also provide a line of high quality, low price MRI Accessories. These MRI Accessories offer patient safety and comfort to create a better MRI experience, all while staying in budget. Explore our patient comfort devices, like MRI Stereo that plays music and allows for two-way communication, or MRI Visors, the portable video goggle system to mimic a theater experience. Patient safety is also a priority, so take a look at our SAMM System and SAMM MD, MRI conditional video camera systems to keep an eye on your patients, with motion detection. You can bring the best MRI experience to your patients all while saving money. This is an adapted article, and to learn more about the Mayo Clinic Red Wing Facility, read the full story. Picture is from this Pintrest photo. Can MRI Surgery Save Stroke Patients? Strokes are one of the most common causes of death, and there is little in terms of treatment. One of the most deadly type of strokes are spontaneous intra-cerebral hemorrhages (ICH), which has a fatality rate of about 50%. Fortunately two powerhouses are making a plan to combat these strokes. The Mayo Clinic and MRI Interventions Inc. are collaborating to develop MRI therapies to treat ICH, using the ClearPoint Neuro Navigation System, which allows for real time MRI images of patient’s brain during surgery. In other words, this system allows for surgeons to perform fine-tuned and minimally invasive procedures for stroke patients. While there is still more research needed, it seems a new line of work MRI machines will be with assisted surgery. At Sound Imaging, we are excited to see how the utility of MRI scans are expanding to treatment options as well. We understand and appreciate the versatility of MRI machines, which is why we aim to provide everything and anything for MRIs. Explore our services, repairs, inventory, and our patient comfort MRI accessories. Find everything you need for your MRI all in one convenient location. This is an adapted article, and to learn more about this endeavor by the Mayo Clinic and MRI Interventions, read the full story. Picture is from this stock photo. Are MRI Comfort Suites the Future of Imaging? Another hospital has finished developing a brand new MRI Comfort Suite. 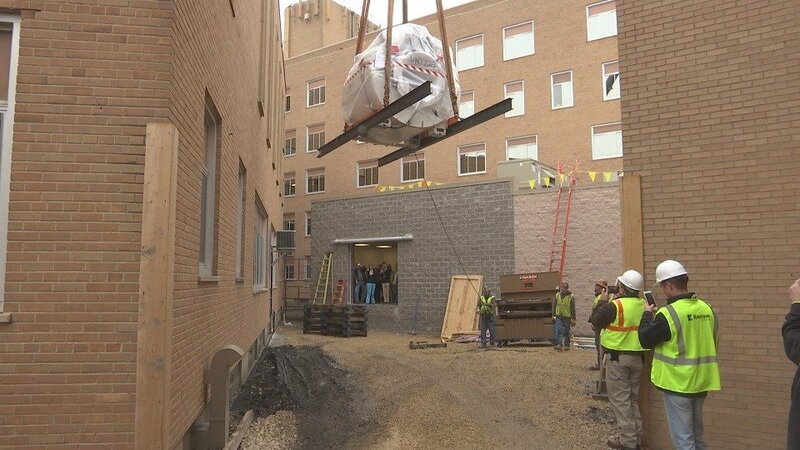 The proud owners of this MRI are the Berkeley Medical Center in Martinsburg, West Virginia. As with most new MRI scanners, a priority was patient comfort to alleviate claustrophobia. One of the lead doctors, Dr. Sanjay Saluja, notes that while an open bore MRI does alleviate this anxiety, it usually leads to a compromise with scan quality. This was not an acceptable outcome for the team at Berkeley Medical Center. Therefore to keep a high standard of scan quality and patient comfort, the team invested $1.8 million into the MRI Suite. Despite the hefty investment, the Berkeley Medical Center and their patients seem to happy with the results, some say it's like walking into the future. Fortunately, there are many other options to improve patient comfort without breaking the bank. At Sound Imaging, we are happy to see how patient comfort is improving in the world of imaging. While there is no cost too high for patient care, we also believe that healthcare can easily be affordable and high quality. We meet this ideal with our line of MRI Accessories, like the MRI Visors and MRI Stereo. Easily improve the patient experience with these cost effective and easy to use options if you do not have a million dollars lying around. This is an adapted article, and to learn more about the Berkeley Medical Center, read the full story. Picture is from this news journal. MRI Study Leading to Zika Virus Vaccine? Some of you may have heard about the Zika virus. Put simply, it is a virus that is transferred by infected mosquitoes. While not usually deadly, if a pregnant woman if infected, it can cause severe fetal abnormalities, like microcephaly, that can lead to brain defects. At Sound Imaging, we are happy to see how MRI scans help us understand and better develop healthcare. While we are not studying new vaccines, we do research how to make the best MRI devices in the market. With our low costs and high quality, we create the most cost effective and satisfactory MRI devices, like our MRI Visors and MRI Stereo. This is an adapted article, and to learn more, please this news story. Picture from this stock photo. In some of our previous blogs, we’ve noted how some people are waiting months or even years to get a MRI scan. Now, we hear news that some people are even skipping ahead on these wait lists. How so? According to an auditor from Manitoba, Canada, it is by getting on a MRI Scan cancellation list. This essentially means if someone cancels their scan, you can get their spot. Now, this does mean you are opening your availability to the whim of someone cancelling, but it might outweigh the con of having to wait months for a scheduled scan. Read the full story at the Manitoba CBC news story. At Sound Imaging, we always aim to provide affordable healthcare to all, and we know how important MRI scans are when it comes to health. We do this by making our MRI accessory line competitively priced and our repair and services efficient, so you do not need to break the bank to keep your MRI healthy. This is an adapted article, and to learn more, please this news story. Picture from CBC news story. MRI Scanner Predicts Your Age? MRI scanners can detect a whole lot of different diagnoses. They can show cancer, Alzheimer’s, MS, and plenty more. But can a MRI scan show your age? Researchers in the UK, at the Imperial College London, have evidence that MRI scans can detect your ‘brain age’, or how much wear and tear is on your brain compared to your actual age. While this may sound like a doomsday sort of calculation, there is practical use for this analysis. “The study involves using brain MRI scans to look at the size of people’s brain tissue — gray matter and white matter — across the lifespan,” says Dr. James Cole, one of the project leads. After looking at about 2000 brains, researchers hope with this understanding, we can improve and prevent illness and aging. 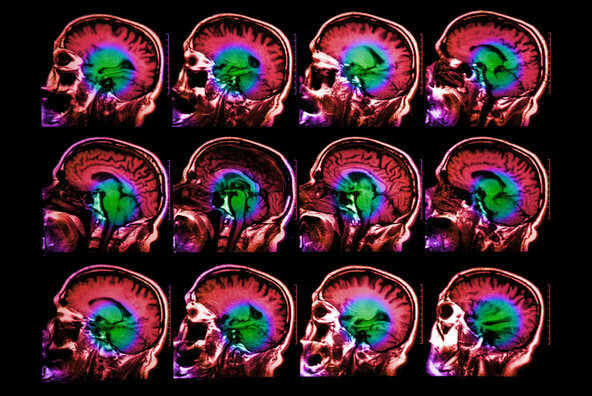 At Sound Imaging, we are always amazed by how much MRI scans can help us learn. We encourage MRI technology with our line of MRI Accessories, aimed at patient comfort and safety. Two of our newest devices are the SAMM M.D., a MRI camera system with motion detection, and MRI Visors, a portable video goggle system that is safe for your MRI scanner. This is an adapted article, and to learn more, please visit this genetic research journal and technology news. Picture from this brain scan stock photo. Can You Entertain Patients During MRI Scans? As many of you may know, MRI scans are notorious for being an uncomfortable process. However, there is a solution. At Sound Imaging, we are in the final stages of our MRI Visors, a portable MRI video entertainment system, that go on the face as goggles. With MRI Visors, you can allow patients to feel at ease, and comfortable patients are satisfied patients. To learn more about our MRI Visors, please contact us for questions or quotes. Read our full MRI Visors Press Release. Click to learn more about our other MRI Accessories, SAMM System and MRI Stereo, that are aimed to reduce patient anxiety, increase facility safety, and increase patient satisfaction. Stay tuned for our next press release! *Please note, the picture is NOT the final version of the MRI Visors. 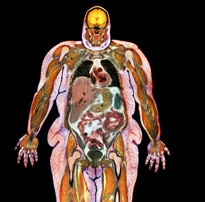 Can MRI Scans Help Us Understand Obesity? Many of you have have heard by word of mouth that America is getting heavier. But what are the facts behind this and what can we do to understand these results? Recently, the Journal of Magnetic Resonance Imaging released an article that used DTI (Diffusion Tenor Imaging) techniques to analyze the brain matter of obese and non-obese volunteers. Their results showed significant changes comparing obese volunteers to non-obese volunteers. 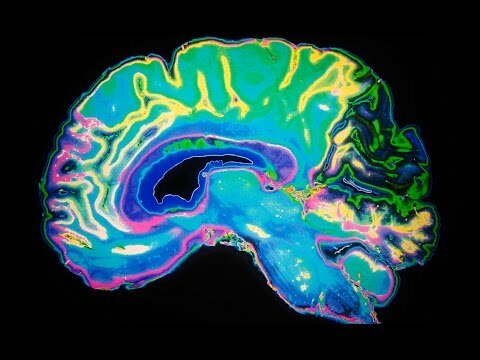 Scans showed those with higher BMI (body mass index) showed decreased brain circuit function with areas controlling reward seeking inhibition, motivation/drive and learning/conditioning. Using these changed brain circuits may help decrease obesity rates. At Sound Imaging, we are glad to see how MRIs help us improve healthcare and understanding. We do our best to provide top of the line MRI Accessories to meet the demands of current imaging. One such device, the MRI Visors, allows patients to have a movie-like experience within the machine, and is perfect for studies like this one. Click to learn more about our MRI Accessories, MRI Visors and MRI Stereo, that are aimed to reduce patient anxiety and increase patient satisfaction. This is an adapted article from this journal, and video is from this stock photo. 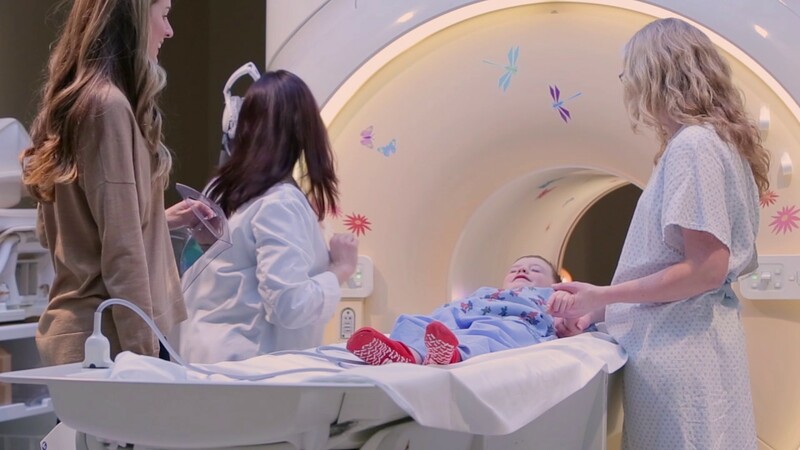 The MRI team at Jacksonville, Florida based Wolfson Children’s Hospital have a new campaign to make MRI's kid friendly. They have coined the term, ‘MR-I-Am Ready!’, which aims to educate and calm children’s anxieties as they go through the MRI machine. Not only does this initiative aim to reduce kid’s anxiety as they go through the scanner, but also to reduce the need for sedation. Sedation is an extra expense, and does not necessarily reduce the the anxiety within children. One parent recalls how scared her child was as going under. At Sound Imaging, we are happy to see how more and more education around MRI machines is expanding, even to little ones. We also do our part to let children feel safe within the MRI with our line of patient comfort MRI accessories. One such device, the MRI Visors, allows patients to have a movie-like experience within the machine, and is perfect for all ages. Click to learn more about MRI Accessories, MRI Visors and MRI Stereo, that are aimed to reduce patient anxiety and increase patient satisfaction. This is an adapted article from this Florida news, and video is from this news network. Recently, we’ve been taking a hard look at MRI safety. The Boston Globe this past week published an in-depth and honest analysis of the current state of affairs when it comes to MRI safety. The news is mixed. Long story short, in many ways MRI accidents are under-reported due to embarrassment, and most verification, credential, and training processes regarding MRI safety are only voluntary. As MRI scans become more and more used in the healthcare field, we need to ensure safety of patients and staff on MRI facilities. MRI machines have so many benefits, we need to make sure MRI safety isn’t lost in the growth. At Sound Imaging, we do our part to increase MRI safety awareness with our line of MRI Safety Devices. We aim to make safety affordable and through, so no one is left in the dark when it comes to MRI safety. Click to learn more about MRI Safety Devices, like the SAMM System, the MRI CCTV camera system, and Magnet Watch, the remote magnet monitoring service. This is an adapted article from this Boston news, and picture is from simplyphysics.com. MRI Safety is always a priority. In some ways, MRI machines are safer than most other imaging devices since they do not produce any radiation; but in other ways a giant magnet poses its own risks. So it is no wonder why the role of MRI Safety Officer is so important. Currently, the American Board of Magnetic Resonance Safety requires examination, training, and experience to earn a MRI Safety certificate; there are about 600 safety officers in the country today. Their role is to ensure patients are always safe and to oversee any possible risks that may occur during a scan. These officers know how important quality assurance and safety go hand in hand. At Sound Imaging, we know how crucial MRI safety is to MRI staff and patients. We do our best to stay up to date with MRI standards with our line of MRI Accessories, which aim to increase patient safety and comfort. Click to learn more about MRI Accessories, SAMM System, the MRI CCTV camera system, and Magnet Watch, the remote magnet monitor subscription service. This is an adapted article from this New York news, and picture is from this news article. Siemens Healthineers debuted the first Illinois base PET/MRI Scanner at Northwestern Memorial Radiology department. Why combine the two modalities? A better question is why not. By combining MRI and PET, this team aims to reduce patient time spent on imaging needs, while also offering better imaging quality and reducing radiation. This PET/MRI Scanner will likely reduce imaging scan time from 2 hours to about 45 minutes now. The Northwestern PET/MRI Scanner will also be used for investigatory purposes, such as studying molecular diagnoses, as well as mental health disorders. At Sound Imaging, we are continuously surprised with the leaps of advancement the imaging field creates. We do our best to stay up to date with MRI advancement with our line of MRI Accessories, which aim to increase patient safety and comfort. Click to learn more about MRI Accessories, like our MRI Stereo, music and two-way communication device, and SAMM System, the MRI CCTV camera system. This is an adapted article from this Radiology news, and picture is from this Yahoo article. Like many things, when a MRI gets old it gets ‘thrown away’. However, in Brisbane, Australia, an old MRI scanner is getting a new life working with CERN to analyze stars. Using the high strength magnet, researchers at the CERN ISOLDE facility can build a device to see and learn about nuclear reactions during supernovae explosions. By using a magnet of a old MRI system, CERN was able to save more than 1,000,000 CHF, which equates to almost $1,000,000 USD. The cost to repurpose this magnet was only 160 000 CHF or $159,680.64 USD. At Sound Imaging, our goal is to make healthcare affordable. We do this by offer repair, refurbishment, maintenance, and recycling services for your MRI Scanner. Along with these services, we also want to make the MRI Suite safe and comfortable with our line of MRI Accessories. Click to learn more about MRI Repair, MRI Maintenance, MRI Selling, and MRI Services. We also offer a wide inventory of MRI Parts and MRI Coils to keep your facility well-stocked. This is an adapted article, and picture is from phys.org. Some of you may have heard of gadolinium in terms of MRI contrast agents. However, this rare earth metal is raising some concerning health issues. Not too long ago, the European Medicines Agency stated this agent, as well as three others, ought to be pulled from the European market. Concerns came from the length of time gadolinium stays within the patient’s body. For patients, the EMA recommends asking for no contrast when getting a scan. Contrast agents are used to make contrast, or more defined images when scanning patients. It is useful to cancer or inflammation diagnoses, but it is not necessary for scans of fractures, and many other diagnoses for example. While we stay tuned to see what will happen to this contrast agent, we are proud to supply a number of MRI Safety and MRI Comfort devices so your staff and patients don't need to worry about getting your next scan. Two such devices are our SAMM System, a MRI patient monitoring camera system, MRI Stereo, a music and two-way communication device. Explore more about our Accessory Line and our many other MRI Services. 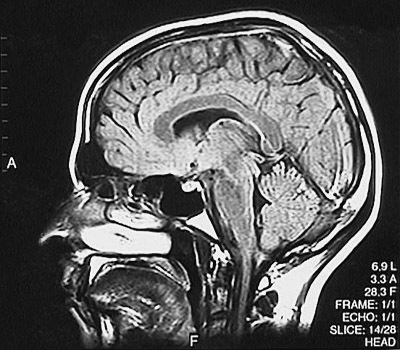 This is an adapted article, click to learn more at news network, and image is from this MRI blog. Recently, news released about price disparity of MRI costs for patients. In Alaska, the difference between getting a scan from an imaging center versus a hospital was upwards of $3000. Michigan is close behind with a difference of upwards of $2000. In many cases it was cheaper to pay out of pocket for scans at imaging centers versus going through the insurance provider and getting a scan at a hospital. Why is there a vast difference in MRI scan prices? There are a number of factors, from location, doctors at the facility, and the quality of the equipment. Regardless the reason, this cost is then put onto the patient, the last person who can probably afford a $3000 MRI scan. To combat this problem, Sound Imaging offers high quality, and low prices for MRI devices. These devices are increase patient safety and patient comfort, all at an affordable price point, so you can pass the savings onto your patients. Click to learn more about SAMM System, the MRI CCTV Safety System, and MRI Stereo, the premier music and two-way communication device, as well as our other Accessories. This is an adapted article, and picture is from this news network. Click to learn more about the price disparity at this MRI news story. MRIs are sometimes given a bad reputation. However, there is cause for this reputation. Not too long ago, there was a reported 211% increase in MRI accidents. There are a number of website dedicated exclusively to MRI safety. And even just this past year, the Journal of Magnetic Resonance Imaging, published an article detailing the safety duties of MRI staff. As you can see, MRI safety is always at the front of everyone’s mind. At Sound Imaging, we know how important it is not only for patients, but for staff as well, to feel safe within the MRI environment. Here, we do our part to improve the MRI Suite with our line of MRI accessories. Our patient safety and comfort focused include the SAMM System, a MRI conditional CCTV system, which monitors the MRI machine around the clock; and Magnet Watch, a device that monitors various settings on of your machine, from power to helium levels to name a few, and will alert your staff immediately if any of these change to abnormal. All of our devices are tested to meet MRI conditional standards. Click to learn more about this MRI safety report, MRI safety websites, and MRI safety guidelines. This is an adapted article and picture is from Simply Physics. Researchers in Houston, Texas, are working to make science fiction a reality. Rather, they are are designing micro-sized robots to perform minimally invasive surgeries that are MRI guided. While MRIs are typically used only to diagnose, there is a movement to have MRI machines also work with treatment methods in non-invasive or minimally invasive way. The milli-robots, as they have been coined, will be about the same size as a hair’s width. The ultimate goal of these robots will be to guided by physicians within a MRI machine to perform precise procedures. At Sound Imaging, are glad to see how MRI machines are evolving within the world of healthcare. Here, we do our part to improve the MRI Suite as well with our line of MRI accessories. Our patient safety and comfort focused include the SAMM System, a MRI conditional CCTV system, and the MRI Stereo, a two-way communication and music device. Explore our extensive line of MRI devices. Click to learn more about this MRI research. This is an adapted article and picture is from this online magazine. Claustrophobia and MRI are two words that go hand-in-hand with each other, unfortunately. Sally Friedman, a writer for The Inquirer, details her experience as a claustrophobic patient who needs a MRI scan. Friedman’s story is similar to others you may have read before. And while there are definitely improvements with open MRIs and larger bore openings, we do not necessarily need to reinvent the wheel to make the MRI experience better. At Sound Imaging, we aim to make the MRI experience comfortable for all patients. We do so by offering affordable, yet effective patient safety and comfort devices, like our SAMM System, a MRI CCTV system and MRI Stereo, a two-way communication and music device. With our line of MRI accessories, we hope claustrophobic concerns may one day be a thing of the past. Click to learn more about this MRI story. This is an adapted article and picture is from this news network. Re searchers at University College London have found that MRI scans can detect HIV within the brain, even after drug treatment for symptoms. While HIV is much easier to treat and reduce symptoms today, there are potential lingering problems. One such issue is cognitive issues, such as dementia, that almost half of HIV patients report. Usually to test lingering cognitive issues, one must undergo a lumbar puncture procedure to withdraw spinal fluid; as you can imagine, this is a very invasive procedure. Fortunately, MRI scans have been able to detect these changes in the brain. In time, MRI procedures may be used to further diagnoses these HIV patients. At Sound Imaging, we are happy to see how MRIs help diagnose those across conditions. We do our part to improve healthcare by offering affordable, yet effective patient safety and comfort devices, like our SAMM System, a MRI CCTV system and MRI Stereo, a two-way communication and music device. Click to learn more about this MRI research. 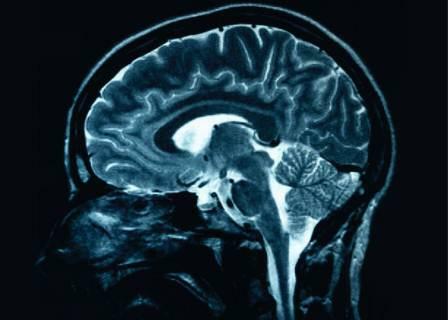 This is an adapted article from this science news and research journal and picture is from this MRI scan. A Canadian woman, Linda McClure, was told she had to wait for 2.5 years for a MRI scan following a brain surgery. McClure has suffered from constant headaches and pain since the procedure to remove parts of her brain responsible for epileptic seizures. McClure is only one of many who are waiting years for a scan, or forced to travel to other parts of the British Columbia for a sooner scan. There are plans to expand the number of MRIs in British Columbia. At Sound Imaging, we believe everyone needs the healthcare they deserve. However, there are other options besides buying and making more MRI machines. Another, more affordable method to decreasing wait time is with SAMM System and SAMM M.D. These MRI compliant CCTV systems detect patient motion and can decrease wasted scan time. Explore our other cost saving solutions. Click to learn more about this MRI news. This is an adapted article and picture is from this Canadian radio news.